We’ve been taking part in the Fairtrade Fortnight Show Off Your Label Challenge on Facebook. Our latest challenge was to photograph a Fairtrade label in the oddest, most extreme place we could think of. 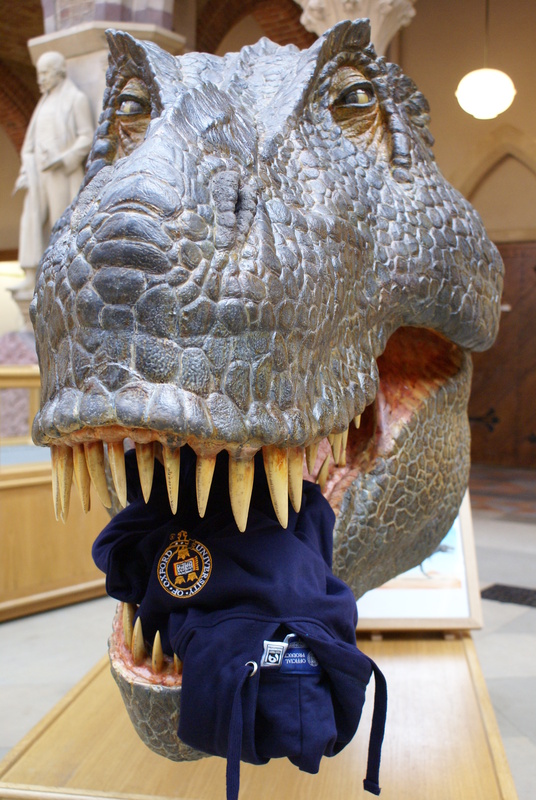 As you can see, our photo featured an Oxford University Fairtrade hoodie in the mouth of a dinosaur courtesy of the Oxford University Museum of Natural History. We’ve posted our photo on the Show Off Your Label Challenge Facebook page and are encouraging friends, fans and followers to vote. The voting closes on the 9th March, so please vote and show your support for Fairtrade and the Oxford University Shop!